In 2017, 9 out of 10 medical practices had adopted some form of electronic health records (EHR). Today as you can imagine, the number of practices with electronic health record systems is quite significant. Every day, more practices are choosing to switch from traditional note-taking to electronic health records. However, once a practice has implemented its EHR software, practice managers and medical personnel begin to realize operating EHR isn’t always as easy as it sounds. If you aren’t accustomed to operating within an EHR system, this transition could be extremely difficult for you. Electronic health records can be a useful tool and should be saving your physician’s time. However, more often than not, physicians end up spending more time trying to learn the EHR software, putting them right back where they started. 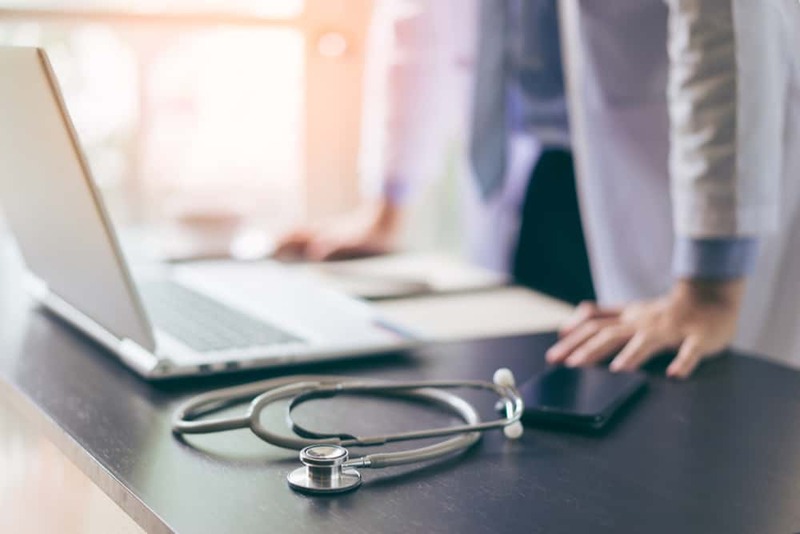 To help your practice accelerate the set-up of EHR, here are a few things to be aware of with EHR software, along with our remedy to make the process all-around easier. If your practice is starting to implement a new EHR, great! EHR can be a beneficial asset to any practice—big or small. However, there are a few common issues practices face that you should prepare your team for! Just like with traditional note-taking, inputting patient information into your EHR can be time-consuming. When physicians are having to manually take and enter notes, it prevents them from being able to interact with their patients face-to-face. This lack of attention can alter the patient-provider relationship in a negative way. 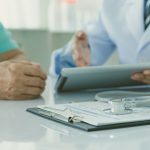 When patients only see their physician fervently typing into a computer, they might begin to distrust that their care provider is actually listening to them. Physicians need to be able to get to know their patients, which is what makes this face-to-face time so important. In recent years, experts conducted studies on the effect screen time has on the patient-provider relationship. The results show that physicians who spend less time on their computer have higher patient satisfaction ratings. Alternately, physicians who spend more time on their computers during patient consultations receive lower patient satisfaction ratings. These results show how truly important it is for patients and their providers to have face-to-face conversations, without constantly looking away at a screen. While EMR is always developing, there’s always the everlasting question, “just how safe is patient information?” Even though things like cybersecurity threats are out of the control of your practice, there are quite a few things you can do to protect patient data. By training your team to understand HIPAA regulations, you can help secure your patient data. Also, stay aware of your network, and who has access to patient information. By giving each user their own username and password, you can rest a little easier knowing not everyone has access to patient data. However, since EHR is always changing, it’s difficult to stay informed of best practices on top of everything else your practice has going. This is when it gets exceptionally difficult to protect patient information. EHRs are constantly collecting data, so keeping all this data safe can be a full-time job in itself. This is one of the largest issues practices face when operating within EHR. Since over 90 percent of practices have implemented some type of EHR software, it has become imperative for those practices to be able to share patient data. Currently, however, sharing information between different EHR systems is extremely limited. This can cause lots of problems for the patient, especially in an emergency situation. In the event that a patient would need to be rushed to a different healthcare facility, or consult with a specialist, the providers there would need immediate access to the patient’s data. If these practices are operating through separate EHR software, the patient data received is likely to be very limited. EHR is constantly being developed into more of an asset to the healthcare industry, and along with that will come increased interoperability. Increasing these levels of interoperability will turn the tables when it comes to EHR implementation. Physician burnout is real, and something that every physician fights against daily. Even among the increased awareness of physician burnout, little is being done to prevent it. Part of the reason why physicians experience this burnout is due to the amount of administrative work required for each patient. A physician must take extensive and detailed notes during and after meeting with a patient. More often than not, these notes have to be checked, re-checked and then checked again. Not to mention the number of editing physicians will have to repeat. Most times, practices adopt an EHR system to save their physician’s time. Electronic health records have to be easier than traditional note-taking, right? 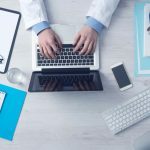 While this is true in many ways, physicians are usually still stuck completing EHR documentation and administrative work when they could be using that time to see more patients. Speaking of complicated, EHR can be extremely difficult to use. Many physicians and other healthcare providers feel that EHR software is not exactly “user-friendly”. This, on top of the ever-changing software updates, makes it difficult for physicians to ever truly understand EHR. Many feel that EHR lacks intuition, and is difficult to navigate. Adding specific notes to a patient’s record may not be possible, which can be exceptionally frustrating to physicians. Additionally, EHRs are full of complicated screens and seemingly endless notifications. This can take up even more of the physician’s time, and result in a lack of productivity for your practice. Without proper training on how to proficiently operate within electronic health records, your practice could struggle. When using EHRs gets tough, consider hiring a team of medical transcriptionists to make the process easier. When you have a team of skilled transcriptionists transcribing your patient data, you can be less concerned with things like complicated usability and limited interoperability, and spend more time focusing on what really matters—patient care. Outsourcing your medical transcription services can help navigate EHR, all while saving you time and money. Physicians won’t have to worry about patient satisfaction because they’ll be able to sit down and have a face-to-face conversation with them without having to constantly be on a computer. Hiring a transcription service can help protect patient data and reduce physician burnout, too. This way, you don’t have to worry about the issues that may come along with EHR. Instead, let our team of transcriptionists take care of it for you! At DataMatrix Medical, we can help ease the stress involved with EHR implementation. We can integrate with any and all EHR software, or we can manage your data in other ways. Our highly skilled team of transcriptionists can work with your practice to effectively and accurately transcribe records through our app, voice recordings, paper notes and more. We offer fully customizable options, so whatever works best for you, works best for us. Reach out to us today to learn about all of our different solutions, and to ask about our two-week free trial. Or, download our free guide below to learn more about the benefits of outsourcing.